In Joint Leadership Meeting (Rapimgab) held on Thursday (12/6), Jakarta Council (DPRD) gave approval regarding additional authorized capital for three BUMDs.
" Additional authorized capital is needed because of business development"
This meeting was also run to complete three Regional Regulation (Perda) revisions that regulate about BUMD's Regional Equity Participation (PMD) especially for PT. Jakpro, PT. MRT Jakarta, and PD. Pembangunan Sarana Jaya. Jakarta DPRD Deputy Chairman, Mohammad Taufik conveyed that DPRD has decided authorized capital for PT Jakpro is raised to Rp 30 trillion, PT. MRT Jakarta is Rp 40.7 trillion, and PD. Pembangunan Sarana Jaya is Rp 10 trillion. Including BUMD's legal entity transformation from PT into Perseroda. "Additional authorized capital is needed because of business development," he mentioned at Jakarta DPRD Building, Thursday (12/6). 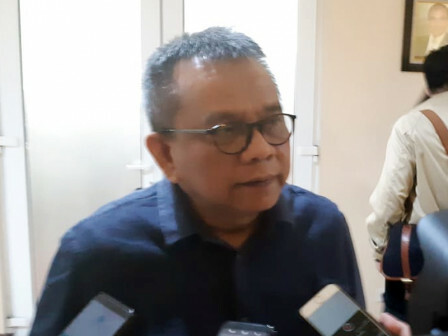 After this meeting, he continued, DPRD will hold plenary meeting before submitting draft that regulates about changes in BUMD authorized capital to Kemendagri (Home Affairs Ministry). "It is done for now. Next, we will hold plenary meeting. However, we need to complete it before December 15," he asserted. Based on Perda No. 7/2013 that relates with amendment in Perda No.3/2008 about BUMD Establishment of PT. MRT Jakarta, authorized capital or PMD which is given to PT. MRT Jakarta is Rp 14.6 trillion. Meanwhile, in City Budget Planning Draft (RAPBD) 2019, Jakarta Government proposes to increase authorized capital for PT. MRT Jakarta into Rp 40.7 trillion. Whereas, in Perda No.13/2014 about second amendment of Perda No.12/2004 regarding PT. Jakpro's PMD is mentioning that PT. Jakpro's authorized capital is Rp 2 trillion. Then in RAPBD 2019, it is proposed for an increase into Rp 30 trillion. Next, Perda No.8/2014 mentioned that PD. Pembangunan Sarana Jaya's authorized capital is Rp 2 trillion. But that BUMD wants their authorized capital limit to be increased into Rp 10 trillion.